When you find someone sitting on their couch with the television on, a laptop in their lap, and a smartphone right beside them. Vying for that person's attention is nearly impossible. I probably don’t have to convince you that it’s hard to remain present with technology innovating new gadgets that rob us of our attention on a daily basis. The invention of the smartphone is slowly destroying our ability to develop genuine relationships. I would even argue that it didn’t begin with the smartphone. The journey toward our increased isolation began nearly a century ago. I won’t go deeper into that. Right now I want to share my experience with the rise of the smartphone era. When I was twenty years old I was enlisted in the Navy and stationed in Japan. There I would witness the beginning of what was to be our future society. It was the year 2000, and Japan was a few years ahead of the rest of the world when it came to cellular phone technology. While America was still using two-way pagers, Japan was selling color screen flip phones with games, full texting capabilities, and web browsing. Up until this point I only ever had a pager. I bought my first phone—a DoCoMo—when I got to Japan. These phones were all the rage at the time, but I noticed something was happening. Everywhere I went, I saw literally everyone 100% focused on their phones. Nobody spoke to one another. Nobody made eye contact. When I returned to the United States, I found that cell phone technology caught up and now America was falling under the same spell the Japanese had. We didn’t even call each other anymore. Texting was the primary source of contact and it hasn’t really changed. Here’s the ultimate trifecta of distraction I have witnessed. When you find someone sitting on their couch with the television on, a laptop in their lap, and a smartphone right beside them. Vying for that person’s attention is nearly impossible. When I became a father I wanted to make sure that my children never would have to compete against these worthless distractions. I’m a stay at home dad working from home and my 2-year-old daughter, Nona demands my attention constantly. Every day I make sure to spend quality time with her. We practice sign language together, we read, and I always take her to the park so we can play. You won’t find me sitting off on the sidelines at the park either. By the time she was 8 months old, she was saying Hi, good, right, and no. When she was 18 months old she knew how to count to 10 and her ABC’s. When she was 20 months old she was fully potty trained. Now at two, she knows the phonics of the alphabet, her shapes and colors, and she can count to twenty. We’re teaching her how to sound out words now too. I think she’s naturally very intelligent, but I also believe that a lot of her enthusiasm for learning comes from our ability to be present. Being present also helps me and her mother communicate. Lack of proper communication can destroy any relationship, and you can’t actively listen without being fully present. One of the main reasons relationships fail is because one or both parties don’t feel heard. When you’re present, you make yourself available for your partner. You give yourself the opportunity to fully understand the problem your partner is addressing. Mindfulness isn’t a skill you acquire overnight. You must discipline yourself. It won’t be easy. You can’t learn how to be present if you don’t do things that sharpen your ability to be present. So what can you do to practice mindfulness? You can try lots of things. There are plenty of techniques you can find by doing a quick Google search. However, it will take some time to figure out the ones that work best for you personally. I’m sure you’re looking to get started with some techniques right away. So I made a list with 5 of the most important mindfulness practices I do. I know a lot of people that loathe this idea, but for me personally, I find it quite soothing. It allows me to work through my thoughts, and sometimes I can work through some difficult problems I’m experiencing. Years ago I broke up with an ex that I moved out to New York with. It was a bad breakup, and I had to not only move out of the apartment we shared, but to another state. Since I didn’t have family or friends in New York, I had nowhere to go. So I moved to New Orleans with my sister and slept on the floor until I could get back on my feet. I can’t tell you how devastated and angry I was. I couldn’t make it through an hour without attempting to contact my ex to either plead for reconciliation or tell her how horrible of a person she was for putting me in this position. My sister got me a job at a Mexican restaurant as a dishwasher, and although I didn’t really want the job, I had to take it if I was ever going to get back on my feet. The first few days I was still trying to contact my ex, and I would look for every opportunity to make that call. When I went to work I would put on my headphones with an old school r&b playlist and start scrubbing down the mountain of dishes that seemed to never get smaller. When I finished my work day, I noticed I didn’t think about my ex as much. I just wanted to relax and spend time with my sister and her friends. After a few weeks I stopped thinking about my ex entirely and focused on building a new for myself life in New Orleans. A couple months later I was able to quit that job, and I got a higher paying job working as a partner in my friend’s construction company. I even moved into a nicer apartment with a pool in the backyard. It’s amazing what you can accomplish when you aren’t stuck in the past. Washing dishes gave me an opportunity to first think through my dilemma, and then let it go. It was like an active form of meditation for me. As years went by, I would wash dishes when I struggled with something. Now living with my girlfriend and our daughter, I took on the responsibility of dishwashing, and it’s great because she is one of those people that loathes dishwashing. It gives me time to work through any problems I’m dealing with. It also makes me less stressed out and irritated because I’m not thinking about how dirty the kitchen is all day. I’m a tech guy and spent the last decade of my life in web development. Tech gadgets have been a regular part of my life. Luckily, I often get tired of these gadgets and need a break from them. I usually plan time my breaks and use that time to spend with my family. Don’t get me wrong, I have had moments when I would constantly be on my phone. Especially when I cared about my presence on social media. I came to realize that social media presence is not real presence. I had to choose what I valued more. Are my virtual “relationships” more important to me, or my relationships in reality? It didn’t really dawn on me until I joined Instagram like 5 years after it first became popular. I wanted to build an audience online and thought about using Instagram as the platform to do it. I found it really difficult to engage with anyone on an authentic level. I also noticed that I was constantly checking my follower count because if you’re familiar with Instagram the follow game is something almost everyone does. Then I noticed two important things. First, I was never really going to develop any genuine relationships on any social media platform because everyone just wants “more followers”. There’s always a superficial agenda behind every click of the follow button, and I was guilty of it as well. It was an addiction. Second, I was so distracted by social media and my desire to “build an audience” that I was neglecting the “audience” I already have. My girlfriend, my children, and the people that love me. That was enough motivation to let go of my addiction to social media. Once I did that, I found myself turning on my phone and just staring at it for a few minutes. Then realizing that since I no longer wanted to be on social media I had no reason to pick up my phone in the first place. Now I’m not distracted by any gadgets anymore and when I take breaks, I really take those breaks seriously and spend time with loved ones. Instead of getting into debates in the virtual world, I have conversations with my girlfriend and my kids. Ever since I did that, my relationships with them seem much more vibrant and fulfilling. If you go to Google Trends and type in meditation, you’ll find that since 2004 it has been growing in interest quite rapidly. People are looking for different ways to practice mindfulness. One mindfulness practice that I prioritize is Quigong, a Taoist practice of remaining still in certain poses and movements that loosen the body. I have practiced Taoism for nearly a decade now, but I wasn’t a fan of traditional meditation practices where you sit and close your eyes in a cross-legged pose. So I went looking for something that was a better fit for me. I stumbled upon Quigong while searching for Taoist martial arts. What drew me into Quigong was the idea of being still like a tree and moving like water. The Tao Te Ching talks about trees and water often, and I find trees and water to be quite fascinating. When you are still, you allow yourself to remain open to all possibilities. When you move like water, you are able to accept reality as it is and make room for all the things that may come into your life. Quigong isn’t easy. You start off with some loosening up exercises and then you stand in a variety of poses completely still. You can practice Quigong even when you’re waiting in line, or for a bus or train. That’s what’s great about Quigong. You don’t have to “make time for it” in the morning or evening like you do with traditional meditation methods. When I started Quigong I noticed my stress levels decrease dramatically, and I was able to be more aware of the changes in my body and emotions. I also was more aware of my breathing. Breathing is the best indicator of stress. In moments of stress, we often hold our breath. The more we hold our breath, the more our stress intensifies. By practicing Quigong, today I can recognize when I’m not processing my emotions and allowing stress to build up. This is paramount when it comes to parenting and my relationship with my girlfriend. I can quickly recognize when I am getting angry and behaving irrationally, or when I’m irritated and need to process my thoughts to figure out why. If you are like me and you aren’t the biggest fan of traditional methods of meditation, I would suggest you try Quigong. You may discover some amazing changes in your life, and relationships. When you’re in a relationship with someone, sometimes it can be hard to learn when it’s time to actively listen to your partner. This was the case for me with my current girlfriend. She was getting tired of telling me the same things over and over. Like when to stop trying to be playful and constantly touching her. She’s now weaning our daughter from breastfeeding after 2 years. She was tired of being touched all the time. It was something I just didn’t get. Not until we ended up in therapy and she expressed how big of a problem it was for her. The therapist gave us some techniques to help us with our communication, but I was still having difficulty understanding when I should take her seriously. So before I caused our relationship to drift further apart, I went looking for a better solution. What I found was a technique that Annie Lala and Eben Pagan created called “holding space.” Holding space is when you sit your partner down and tell them clearly, “[Insert name here], I need you to hold space for me right now.” That meant that it was time to listen. No talking, no thinking about how the other person is wrong, no judgment whatsoever. When they explained how it worked I saw that when your partner say those words, it’s like having a safe word. Which makes sense because it literally means to hold a safe space for your partner to express themselves. If you love them, you will do it. When she first told me to hold space for her, it was jarring, but it was like “Oh damn! I better listen. What she has to say is very important.” So I listened to everything she said and even paid attention to her emotions as she described what she was going through. It was a huge breakthrough. She was happy and she felt like I really understood how she was feeling. I felt like I understood her too, and was excited that we actually felt connected in that moment. Now whenever we have relationship issues, we hold space for one another when we ask for it. Earlier I mentioned Taoist Quigong as one of my mindfulness practices, but my most primary practice is reading the Tao Te Ching, and practicing the ideas in each verse. There are 81 verses in the Tao Te Ching. That may be the first thing that drew me to Taoism. I was struggling with my spiritual path in life some years back, and I couldn’t decide what path I wanted to take. I didn’t like how Christianity was practiced by the majority of people I encountered in my life. There would always seem to be contradictions between their behavior and beliefs. I didn’t believe Islam was a good fit for me either. I was an atheist growing up as a teenager, but as I got older, I saw that I was still drawn to these ancient philosophies. I was so fascinated by the motivation for humans to believe in God. The question, “Is there a God?” was constantly swirling through my mind. Then I found Taoism after reading Wayne Dyer’s Change Your Thoughts, Change Your Life. It was a book that explained each verse of the Tao Te Ching and how you can apply it to your life. That book brought me to the realization that I would never get the answer to that nagging question. I will never know if God exists. What was even better, I began to let go of the things that stressed me out so much. I stopped allowing my fears to consume my entire life. Fear makes it impossible to be present. You’re constantly worried about your past showing up again, or your future not turning out the way you want it to. The very first verse of the Tao Te Ching seems to imply that all that stuff is irrelevant. When it describes reality as a mystery, but we always allow our ego to confine it into a box. Our fears are our egos trying to put our lives into a box. By enjoying the mystery, you can let go of how you or others believe life is supposed to be, and accept all the thing that happens as learning experiences that will only improve your quality of life in the future. If you’re looking for a practice that will allow you to let go of your fears so you can enjoy the present moments, I would highly recommend the Tao Te Ching. I don’t want to claim this will help you change your life and these practices are guaranteed to make you more mindful. However, they really do help me in the most important aspects of my own life. 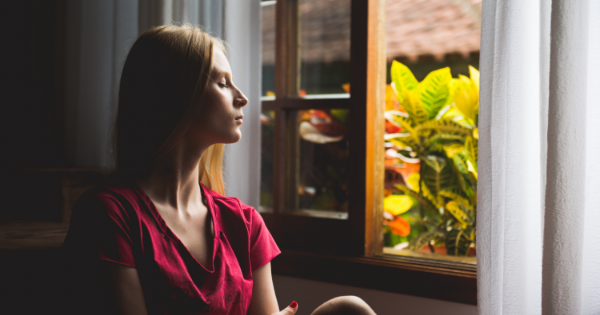 There are many other ways that you can practice mindfulness, but as I mentioned before, it takes practice and time to know if they will work for you. The only thing I can ask you to do is give the practices I’ve suggested a try, and if they don’t work, try something else. If they do work for you, keep practicing them until they become habits. I have many things that I do to practice mindfulness, and I’m always looking for new things. I believe if you do the same, you will reduce the amount of stress in your life significantly. Especially if you’re in a long-term relationship, and you’re a parent. Laurence worked as a golf caddy for nearly a decade making only around 15k annually before becoming a web developer. He was a self taught programmer without a college degree and struggled for years before landing his first $5000 freelance project. A few months after that he landed a $20k project for 3 months work. In the course of a year he made $10k more than he made as a caddy. He loves web programming, but his first love is writing. He wrote songs for years while caddying, but started taking writing more seriously when he decided to become a coach. In 2015 he was certified as a personal development coach and launched his first ebook “How To Get Your First Web Developer Job: How I went from $15k - $70k a Year” which you can find on his website at laurenceshaw.com, Twitter @LawGeekDad, Facebook LaurenceShawCoaching, or on Amazon.